We often hear people telling stories of how they used cannabis or cannabis oil to cure their dog of one of a variety of ailments – from arthritis and inflammatory bowel disease, to seizures and glaucoma. And perhaps most often, we hear stories of how people used the plant or its derivatives to treat and cure their dog’s cancer. With so many stories doing the rounds, proclaiming that cannabis is an all-encompassing miracle cure for every type of cancer, it’s easy to get caught up in the hype. But is there any truth to these stories? Is there any scientific evidence to support their claims? What’s the goss on the grass? 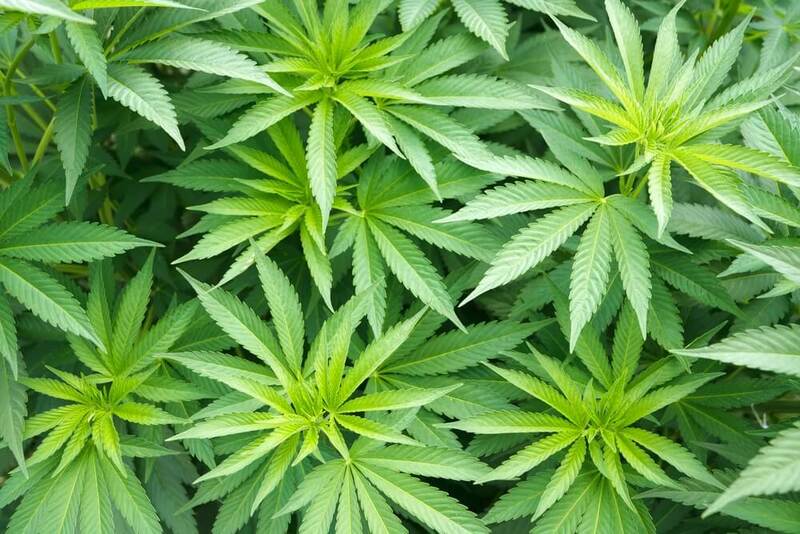 The cannabis plant is part of the flowering plant family Cannabaceae. Used for thousands of years as a form of medicine, the main active ingredient in the plant is delta-9 tetrahydrocannabinol, better known as THC. THC is a member of the cannabinoid family, a group of complex chemicals that occur naturally or can be man-made. It is the chemical that’s responsible for the psychoactive effects of cannabis. Another member is cannabidol (CBD), which counteracts THC’s psychoactive effects. These cannabinoids bind to cannabinoid receptors which are present on the surface of cells. Research over the years has shown that these cannabinoids and their receptors are involved in a wide range of cellular functions – from the immune system and heart function to helping control brain and nerve activity. And because of this, these receptors are also implicated as being involved in a range of illness, including cancer. It’s therefore not surprising that scientists across the globe are studying cannabinoids – both natural and synthetic – to understand more about their potential benefits as a treatment, but also their potential harms. There are countless papers published looking at the anti-cancer properties of cannabinoids in people and in dogs. Sadly, it is not all good news. Some researchers have found that some cannabinoids can actually encourage cancer cells to grow, depending on the type and amount of cannabinoid used. What the research to date hasn’t shown is which cannabinoids could potentially be used to treat which type of cancer, at which dose they should be given or for how long, or the best way to administer these drugs so that they get to the cancer cells. But perhaps more importantly, studies haven’t yet shown through clinical trials whether or not cannabinoids actually work as a cancer treatment for dogs, or if they’re safe to give dogs with cancer. Nor do we know if these drugs would have a positive or negative effect on chemotherapy drugs if given at the same time, or how to identify which dogs might benefit from the drugs or not. One of the most common reasons people give their dog cannabis or its derivatives is because they believe that by being natural, a plant, it’s better. But when scientists use cannabis in the lab, they don’t use the whole plant. Instead, they use purified forms of cannabinoids, the active ingredients in the plant. This means that giving your dog hemp or marijuana in grass or oil form is not comparable to giving them purified cannabinoids. Aspirin is a good example of how something found in nature, but subsequently purified, can be widely used as medicine. Originally discovered in the bark of the white willow tree as salicylic acid, researchers soon discovered that this naturally-occurring compound had medicinal properties, but also, some nasty side effects – namely, severe stomach irritation. This led to the development of an alternative version of the compound – acetylsalicylic acid – which is as effective as its counterpart, but kinder on the stomach. Today, aspirin is one of the most commonly used – and successful – drugs in the world, who’s potential uses are continuously being investigated. This work means that today, we can take aspirin as a drug, rather than having to go out and lick the bark of a willow tree. Aspirin is just one example of how, while drugs can have their origins in nature, they aren’t always best or most effective in their natural form. Sometimes, it takes refining to make them better. Cannabis is another example of this. Scientists are still working to figure out the best part of the cannabis plant to use as a drug, and if it is safe and effective to use for medicinal purposes in dogs. As well as using cannabis-derived products as a treatment for cancer, many people also use them in a more care-orientated manner to ease their dog’s discomfort and pain. Cannabis is illegal in the UK. Cannabis is a drug which means it can and does have side effects. We don’t know yet what all of these are, and we don’t know how they’ll interact with other drugs, like chemotherapy drugs. There are countless anecdotal tales of people using cannabis, cannabis oil or other derivatives of the plant to treat and ‘cure’ their dog’s cancer. But while these stories sound compelling, it’s important to remember that there’s no evidence to support them or the claims they make. When it comes to cannabis and cancer, we know that while there’s interesting evidence to show that cannabinoids (the active ingredients derived from the cannabis plant) can kill cancer cells in the lab, there’s no strong scientific evidence to show that these compounds – either natural or man-made – can have the same effect on cancer cells in dogs. Or if they’re even safe to use. So if you’re thinking of using cannabis in any way, shape or form to treat your dog’s cancer the advice would be not to, especially if you’re thinking about using it as an alternative to standard treatments like chemotherapy. There’s no evidence that it works, and in some cases it may even be harmful to your dog’s health. The most effective way to beat cancer is through research. Did you find our blog interesting? Feel free to share by using the super easy share buttons below. Does neutering cause weight gain in dogs?